I first learned about Mast Brothers Chocolate about a year ago. Another blogger (or was it a Pinterest board?) now lost in the sands of my memory mentioned the company and I'll be honest I was almost more intrigued by the packaging than I was by the contents. Who can resist clean, beautiful design? I figured/hoped any company that puts so much effort into creating such an appealing exterior must certainly put the same level of care into the chocolate within. Also, it's CHOCOLATE and by nature worthy of further study. Some time later I also learned that Mast Brothers makes their chocolate just across the East River in Brooklyn and the company actually offers tours to the public. Sign me up! Or rather, take 10+ months to get your act together and finally buy tickets when your sister is in town. To be fair, Katherine is a fellow chocolate lover so this scouting mission was a perfect fit. We headed to Williamsburg on a chilly Friday night for the tour and were greeted first by the scent of cocoa as we approached and next by the welcoming glow of the factory store. The word factory conjures Willy Wonka visions of industrial level machines, but the reality of Mast Brothers is much more down to earth. They take a very hands-on approach, literally; from sorting the sacks of cocoa beans individually so the roast is even, to tasting every batch of chocolate, to molding and unmolding each bar. After the bars age it's time to wrap them in those colorful papers and apply the labels. All by hand! 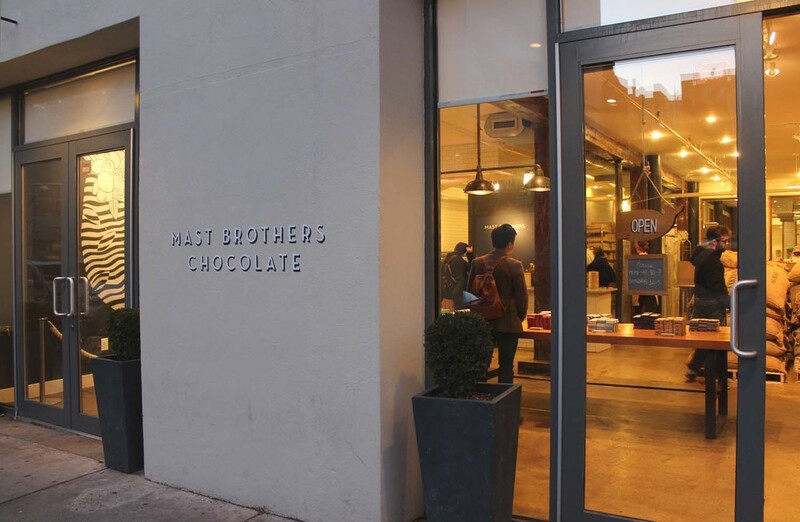 The amount of labor that goes into producing Mast Brothers Chocolate is amazing and yet even in the midst of the holiday push everyone we met was clearly happy to do it. Our tour took a hands on approach too allowing us to smell the roasted cocoa beans, crunch through some nibs, taste and compare chocolate at different stages of the stone grinding process, and of course sample their 5 single origin flavors in the finished form. The tasting especially made me think about chocolate in a different way. Much like wine or coffee or cheese there are nuances of flavor that driven by the soil, weather conditions, and the drying process. It was really a cool experience that I'd highly recommend for anyone who likes to see how things are made or just wants to learn a little more about chocolate as food, not just candy. My friend Alana seems to have her ear to the ground (no pun intended) on all things fun and happening in Brooklyn – this is a talent I wish I had, but for now I pretty much rely on her to tell me when there’s something we should check out. She is also game for exploring with me and this has led to scouting missions in Brooklyn Heights, Williamsburg, Gowanus, and yesterday Bushwick to see the garden at Roberta’s Pizza and do a little herb planting. We learned during our tour from the lead gardener Melissa that the produce she grows supplements the food purchased by the kitchen. 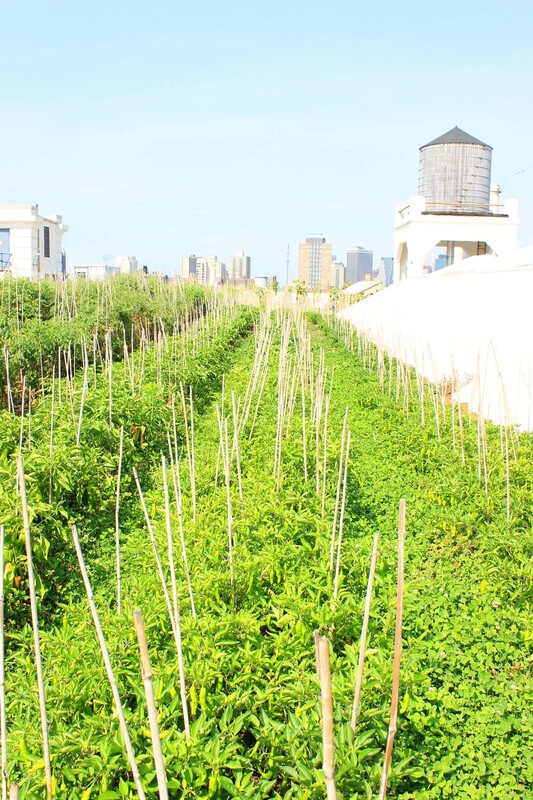 On a quarter acre there are fruit trees, tomato vines, edible flowers, and of course, herbs. Part two of our class involved how to grow new herb plants from cuttings. 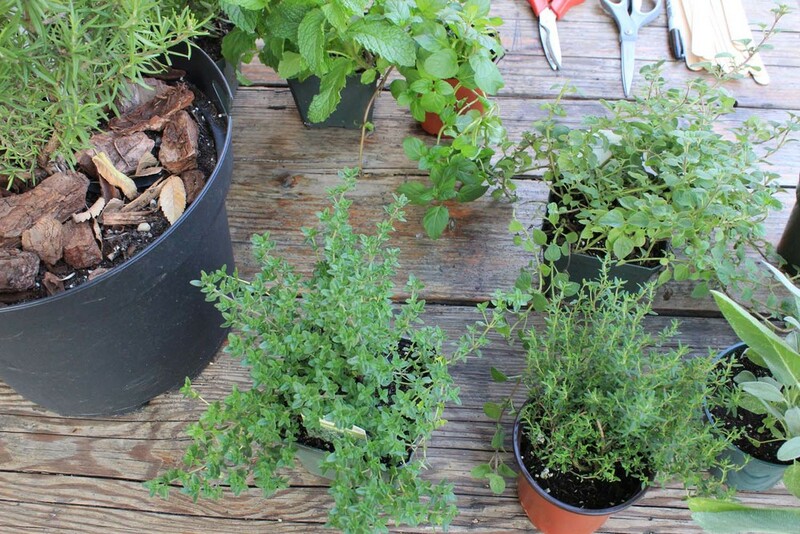 We were given a dozen or so different herb plants to choose from – purple sage, English thyme, basil, mint, lavender – and instructed to snip a small sprig from a lighter green area of new growth. After we removed some of the lower leaves and pruned the upper ones a final diagonal snip of the rooting end completed the prep. I love the bright flavor fresh herbs add to my cooking and many of the recipes I make call for them, but keeping them on hand and in usable form is tricky, so having a pot of thyme or rosemary ready to donate a few leaves would be awesome. My little herbs are now nestled into a tiny seeding pot and I am (semi-patiently) waiting to see if new growth happens…. In the interest of journalistic integrity I have to tell you that at this very moment a dish herb garden is struggling for life on my windowsill, so I’m not making any promises that these little shoots will survive. But if Mother Nature is with me on this project then my grocery store herb days might be numbered…. I’ll keep you posted! The longer I live in New York the less surprised I am by the ingenuity of New Yorkers. Millions of people manage to go about life side by side with millions of other people in small spaces, the majority without cars, and it all seems to work somehow – miraculous and mundane. 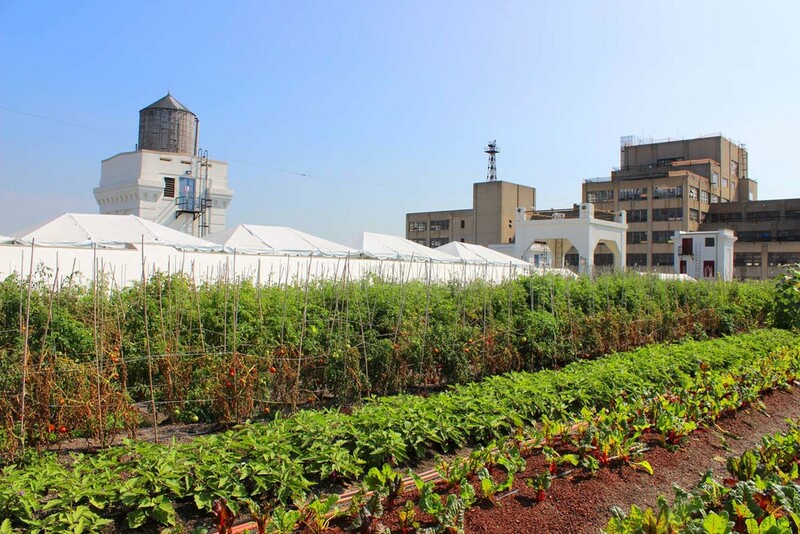 That’s pretty much how I felt when I learned about Brooklyn Grange Farm – yes that’s right the words “Brooklyn” and “Farm” are both in the name. Farming, something humans have been doing for thousands of years but in an urban setting on a large scale. As I snooped through their website it began to make perfect sense and then I had to see it for myself. 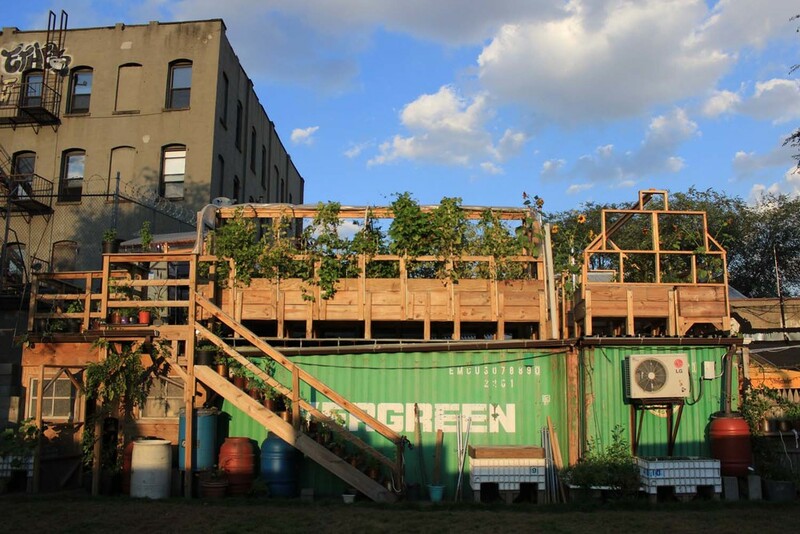 The idea in a nutshell is to repurpose otherwise un- or under-utilized commercial rooftops – old-school concrete warehouses for example – and turn them into growing space for crops like kale, tomatoes, carrots, eggplant, zucchini, peppers, etc, etc... The farms also offers a home for honeybee hives, chicken coops, helps recycle and manage rainwater, and processes compost from household food scraps to fertilize the beds. 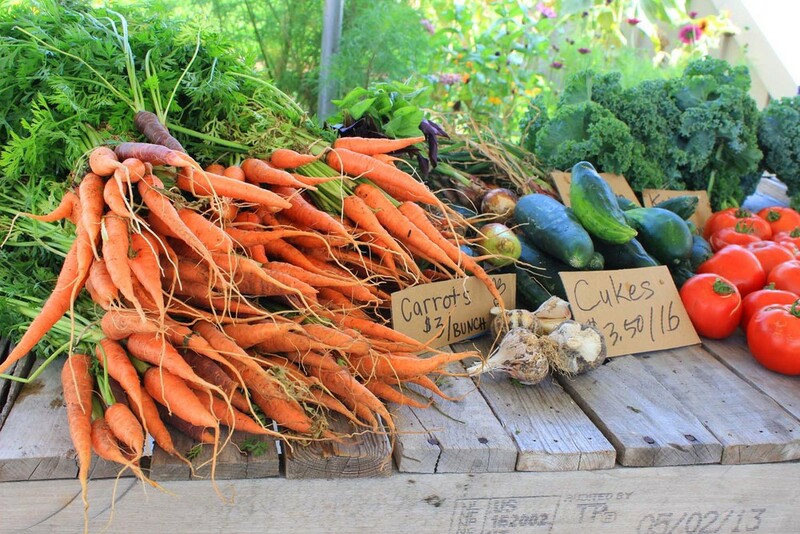 The produce is sold at local farmers markets, to restaurants, and to CSA members in the New York area. I thought I had a pretty solid idea of what it would be like, but I was still amazing by the scope of the project and frankly by the breathtaking views of the Manhattan skyline from the top of Farm #2 in the Brooklyn Navy Yard. A few weeks ago on a decent-for-March kind of day I had a coffee date with a fellow freelancer over in Brooklyn near Park Slope. The sun was thinking about shining, a light breeze was blowing, and I had all afternoon at my disposal. So, on the recommendation of my partner in caffeine I walked over to 5th Avenue (no, the other 5th Avene) to see what I could see. I have to give props to Root Hill Café for the latte, and BEYGL for the excellent California Turkey Club that fueled my adventures. Two solid choices for a quick bite when you’re on the move. On this trip I focused my exploration on the end of the street closest to the Barclay Center, but if the first dozen blocks are any indication; I’m excited to come back and continue to scout further along. There’s a lot to see, but I did my best to narrow it down to my Top 5 places to check out during your next stroll through Park Slope. For fairness I've put them in alpha order, which is also fairly close to the order of appearance as you walk from the Barclay Center, so that's convenient. These shops hit all the points on my super-scientific checklist for a fun shopping experience: high-charm factor, a sense of discovery, and classic taste with a twist. I hope you enjoy them too! 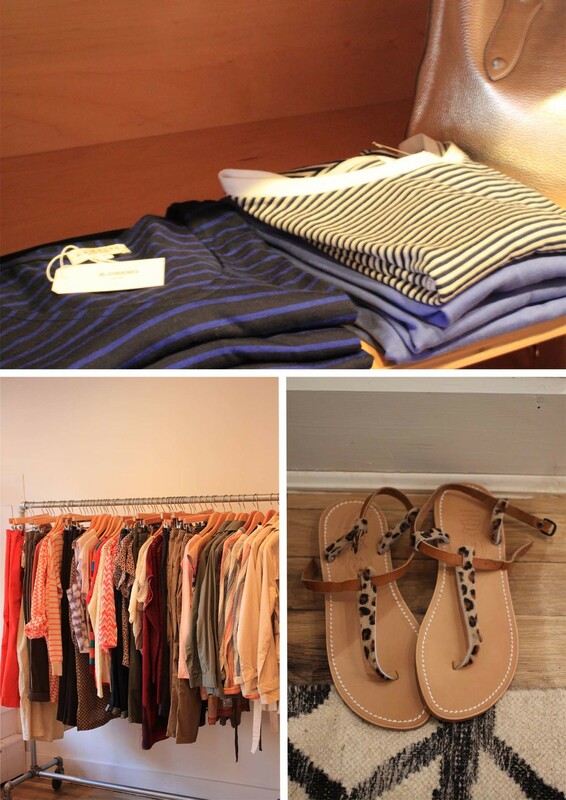 A.Cheng has a beautifully curated selection of classic women’s apparel, jewelry, and accessories – fresh colors, fun patterns, and lovely materials. During my visit the shop was stocked with pieces perfect for roof deck drinks this summer. 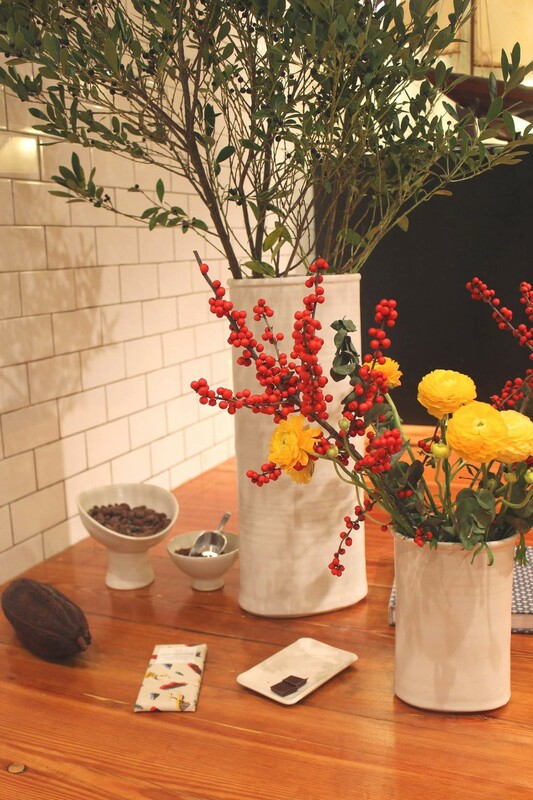 Annie’s Blue Ribbon General Store is a great spot to find beautifully designed gifts for all occasions. If you’re desperate for a unique housewarming party, baby shower, or dude’s birthday gift I’d trust Annie’s Blue Ribbon to save the day. Habit is rocking a mix of Gypset boho, Pacific Northwest crunchy, and a dash of homespun vintage in its women’s clothing, accessories and home décor. Cool stuff for adding a well-traveled vibe to your look. Pink & Olive has the loveliest selection of gifts, children’s clothing, and stationery – journals, address books, and so many charming letterpress cards that I could have found the appropriate greetings for a year’s worth of occasions. Poppy is full of women’s clothing and accessories in bright colors and fresh patterns that made me want to retire my winter navys and greys immediately and fast forward to warm weather shades. So many pretty things!